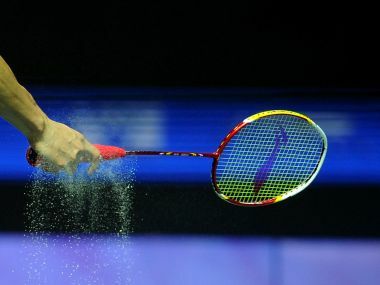 Mumbai: Reigning junior national champion Ira Sharma sent top-seed Rituparna Das packing to enter the semi-finals in the USD 20,000 Tata Open India International Challenge Badminton. Also biting the dust was second seed Sri Krishna Priya Kudaravalli who was beaten by eighth-seeded Ruthvika Shivani Gadde, who boasts a win over Olympic silver medallist PV Sindhu in the past. Both the upsets were achieved after the underdogs trailed by a game before recovering. Ira, who is a trainee of Dronacharya awardee SM Arif in Hyderabad, defeated Rituparna 18-21, 21-18, 21-19 in 48 minutes while reigning SAFG champion and 2014 meet winner Ruthvika knocked out Sri Krishna Priya 17-21 21-10 21-17 in 45 minutes. The third and fourth seeds, Yeo Jia Min of Singapore and Yin Fun Lim of Malaysia were also shown the exit door by Thinaah M of Malaysia and Indias Riya Mukherjee, who came through the qualifying rounds. In the semifinals, Ira will take on Riya while 20-year- old Vijayawada-born Ruthvika, now with Pullela Gopichand Academy in Hyderabad who is the lone seed left in the women's singles draw, will face Thinaah. The men's singles also saw the elimination of Indias former national champion and top seed Sourabh Verma. Verma was beaten in the pre-quarter-finals by unseeded Thai rival S Thammasin who carved out a 21-7 12-21 22-20 victory in 58 minutes. Second seed Abhishek Yelegar, fifth seed Pratul Joshi and sixth seed Lakshya Sen came out unscathed against respective opponents to reach the last eight. However, no 8 seed C Rahul Yadav was shocked by Malaysian Teck Zhi Soo. 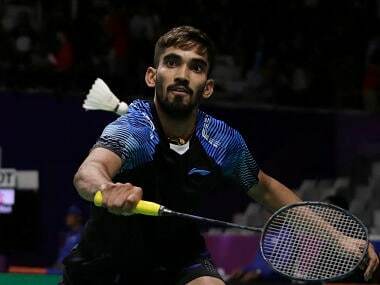 Men's singles (Pre-quarter finals): Sitthikom Thammasin (THA) bt Sourabh Verma(1) (IND) 21-7 12-21 22-20; Bodhit Joshi (IND) bt Korakrit Laotrakul (THA) 19-21 21-17 21-16; Mithun Manjunath (IND) bt Harshit Aggarwal (IND) 21-16 16-4 (Retired); Pratul Joshi (5) (IND) bt Shreyansh Jaiswal (IND) 21-17 21-14; Lakshya Sen (6) (IND) bt Swarnaraj Bora (IND) 21 -11 21-17; Siddharth Pratap Singh (IND) bt Siddharath Thakur (IND) 21-12 19-21 21-14; Teck Zhi Soo (MAS) bt Rahul Yadav Chittaboina (8) (IND) 21-8 21-11; Abhishek Yelegar (2) (IND) bt Lakhanee Sarang (IND) 21-13 21-15. Yeo Jia Min (3) (SGP) 21-14, 14-21, 21-16; Ruthvika Shivani Gadde (8) (IND) bt Sri Krishna Priya Kudaravalli (2) (IND) 17 -21, 21-10, 21-17.